As specialists in providing incontinence solutions, we designed our own premium brand with the same extra wide front and back coverage of European style briefs. Then added world-class absorbency to create airflow breathable briefs at a reasonable price. Our unique, thick Microsorb lining stays soft and dry even after a long night. 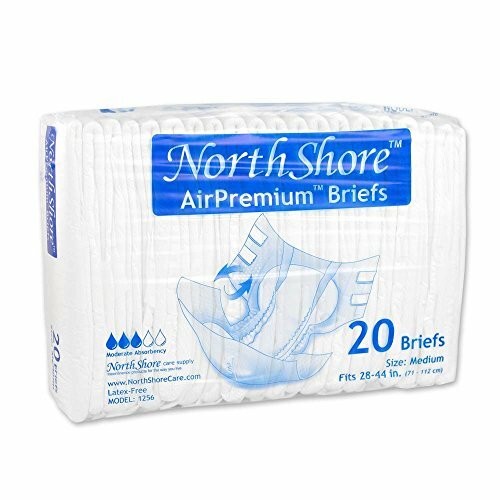 NorthShore AirPremium Briefs are lighter than our AirSupreme giving less bulk during daytime use. Latex-free. Made in France.Absorbent Capacity for Day or Night: Sleep all night and have confidence during the day as the soft quick drying top sheet wicks moisture into the microsorb lining that absorbs quickly to lock wetness away from the skin. Stand-Up Leak Guards: Tall Leak Guards once activated will stand up to provide a secure barrier at leg openings to prevent side leaks. 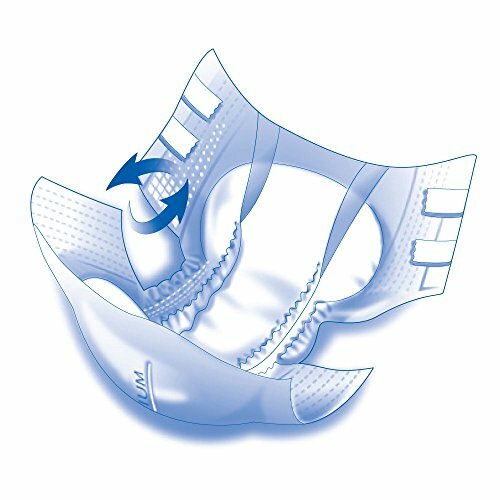 Wide Coverage: Extra wide protection in front and rear along with high absorbency provide maximum protection in the most demanding situations. Rustle-Free Exterior: Soft cloth-like exterior is waterproof plus discreet and quiet while you move. Premium Quality: Air Breathable promotes healthy skin, anti-odor protection provides discreetness.